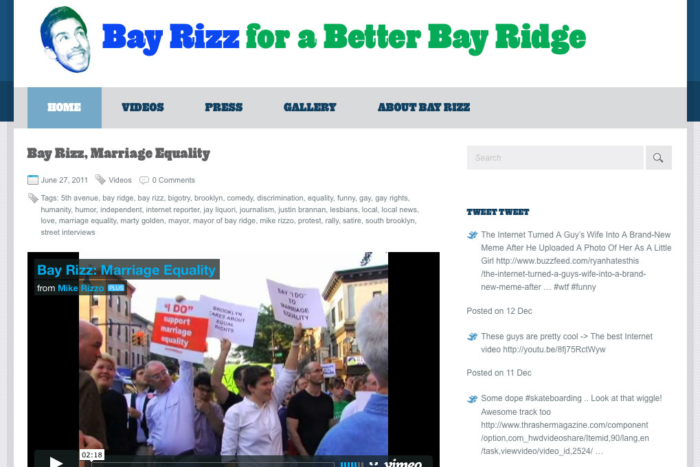 Site for the (un)official Mayor of Bay Ridge Brooklyn, Mike Rizzo is the wackiest nutjob we know. He’s a film editor and producer by day. By night he fights crime and kisses old ladies on the sidewalk. Because they like that.